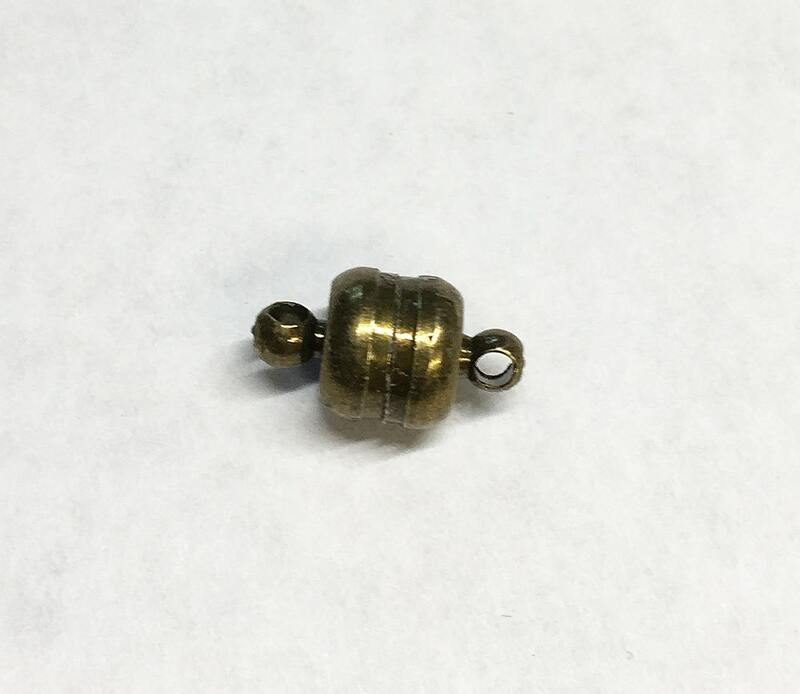 Button style magnetic clasp. Size 13mm x 7mm. Clasp is alloy metal with an antique bronze finish, not glossy. Easy to attach with jump rings (be sure to use brass or copper jump rings and not steel plated) or string through loop in clasp! Nickel free, anti tarnish. To open slide back and forth. This clasp is a winner!! Strong magnets!